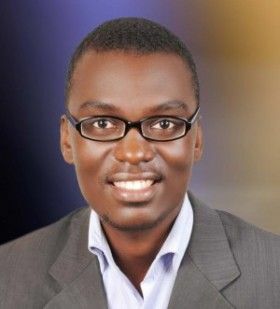 Bwesigye Bwa Mwesigire: The real story is frustration with the Eurocentrism of much of our current reality, and how easy it is for us (meaning non-Western people) to consider Eurocentric culture and worldview as developed and world standard, while ignoring our own. I believe that this is so, because of something called soft power. Nye's [Joseph Nye] idea of it. That through culture, and here we have literature, music, film etc., Eurocentrism manages to penetrate the core of other societies. For us to center our own interests, our own realities, we need to develop this soft power. We can't keep not seeing ourselves when people mention world class because inherently what has been described as world class is Western. Without a grounding in our own culture, literature, film, drama, art, music, we will not rise. The frustration with narratives that judge those who westernize as rising led to the formation of the Centre for African Cultural Excellence (CACE). Vitabu: Tell us about Writivism? Bwesigye Bwa Mwesigire: Writivism is about producing and consuming literature on the African continent. Promoting both the production and consumption of literature, tying in the reason we started CACE. So we hold workshops in cities all over the continent, connect emerging writers based on the continent with established ones, for mentoring, run an annual short story prize, publish flash and short fiction, run a schools programme and hold an annual literary festival in Kampala. We are not interested in merely awarding outstanding literary talent, we are interested in the entire literary infrastructure, from the educational point of view, to the market, the training of writers in craft and also to promoting work to readers and buyers. Vitabu: Why should we make "Fables out of Nyanja" a must-read book this year? Bwesigye Bwa Mwesigire: I am not sure I want it to be. Part of me regrets the publication of that chapbook. It was not ready, some time to come, there will be a better version. When that time comes, I will wish for it to be made a must-read book. For this year, I have nothing to show. Writing is hard. It is easier to promote those who have written and their work, and that is what I have been up to since 2012, instead of working on my own writing. Because the promotion of literature also takes a lot of time and effort one is too exhausted to start writing creatively while actively running a literary initiative. Someone start an award for professionals whose job is promoting literature. I want to win that one. Vitabu: Your work has appeared in a number of new age literary publications, such as Chimurenga, Saraba, and African Roar. They are taking the world by storm. It's an exciting time for African lit. How do you comment? Bwesigye Bwa Mwesigire: Much of my work of late has been journalistic, or creative nonfiction. Has been easier to write short nonfiction than creative work. In my case, the reality of the internet, and the crushing of many virtual borders has meant easy access to publications outside Uganda, compared to the period before I was born. I also have been teaching at university so again, easy to write non-fiction, to review books etc., than write creatively. I am excited by the dynamism of the new age publications and publishers. The rigid boundaries of form are being quashed, and perhaps some of us who have not yet found the luxury to sit down and write long manuscripts also get published with our short, rushed and pitchy work. Not to say that it’s not beautiful. It is beautiful in its own urgency. It won't give one the satisfaction of reading a novel though. Because this work is simply not long prose. Bwesigye Bwa Mwesigire: I am going into the academy. I want to get myself a PhD and become a university teacher. Maybe some cool university will see this interview and look at my PhD application with a lot of excitement. I think academic work suits my madness better than creative work. But academic work is also creative. Its creativity is however easier on my timelines than writing a novel or something like that. But before we go far in this futuristic talk, there is a Writivism festival starting in a few days that I have to first take care of.